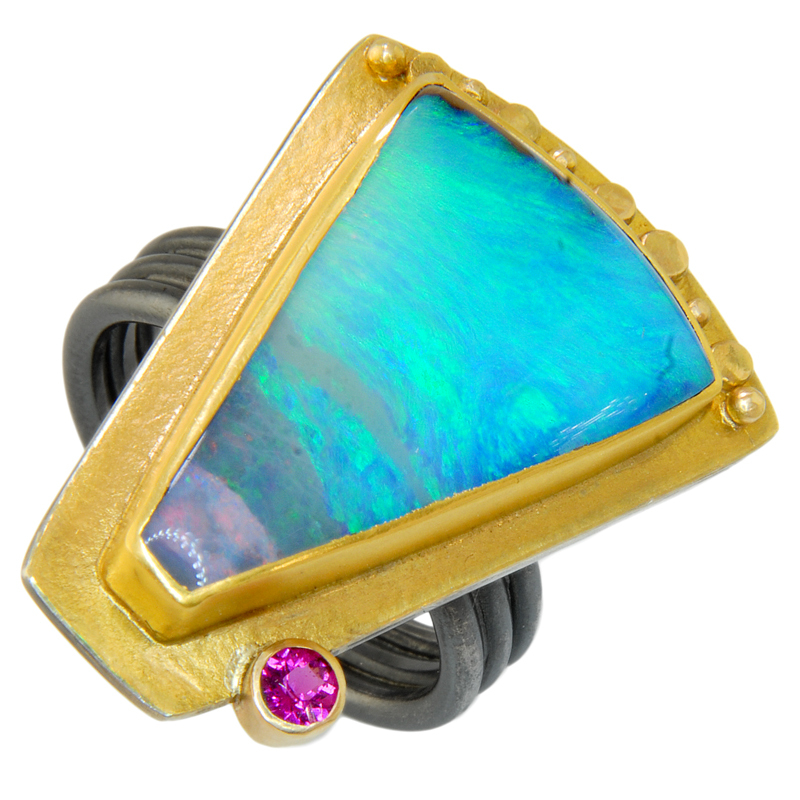 Sydney Lynch Jewelry is wearable art that embraces abstract shape, color, and form. 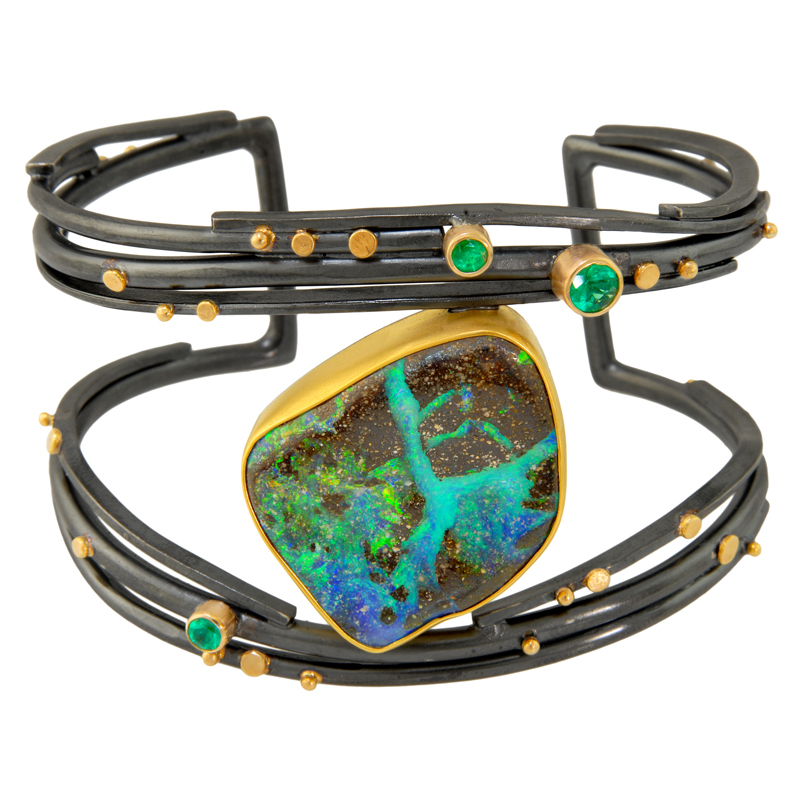 Much of the jewelry by Sydney Lynch is inspired by nature, and reflects the essence of the beauty found therein. 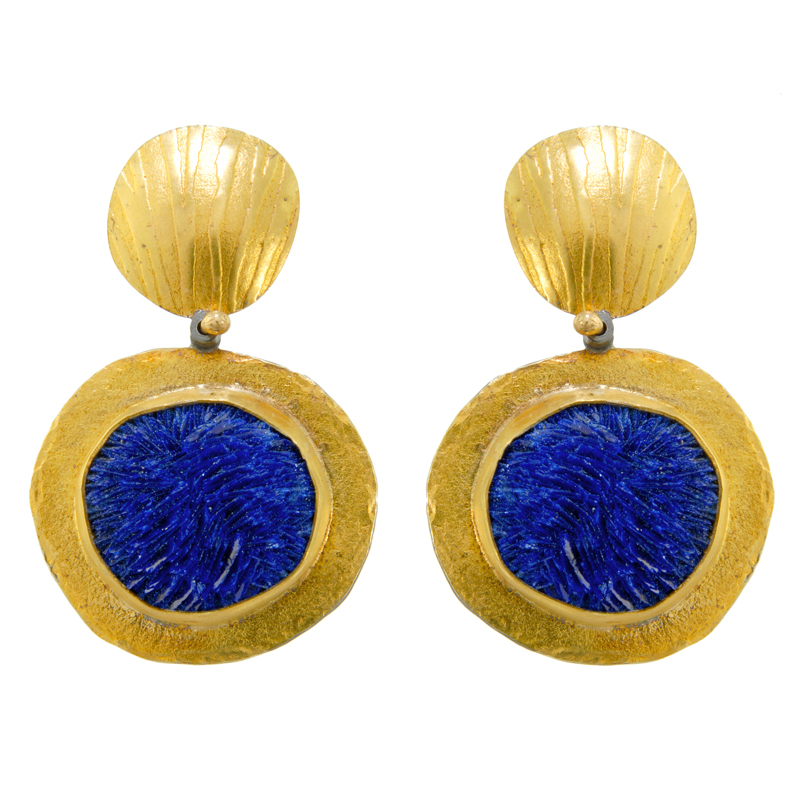 She strives to make her jewelry both sculptural and comfortable to wear. 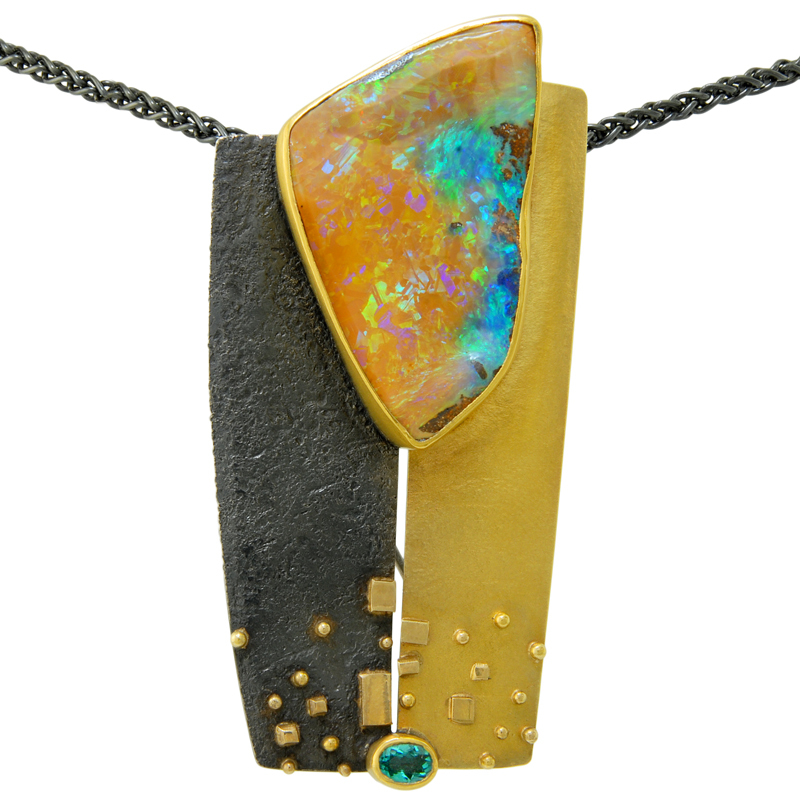 Sydney Lynch says, "Working with the materials is the most exciting part of the process for me. Simply put, I like making things. 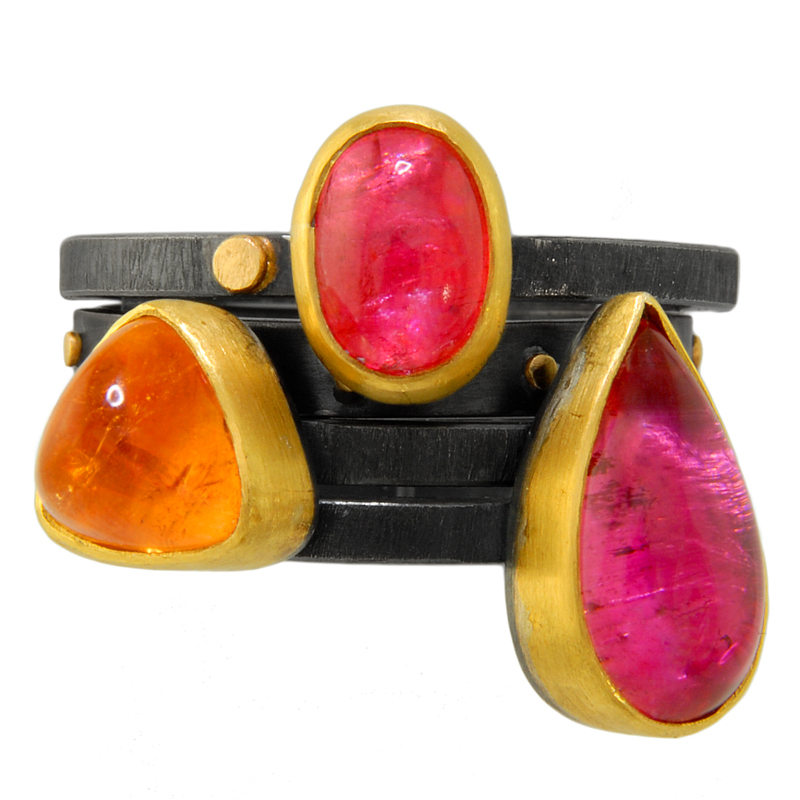 In my one of a kind pieces, I exercise my love of color, incorporating a wide range of colored stones in the designs...Many of my designs are abstract, leaving the wearer open to finding their own personal, intuitive relationship with the piece"
Sydney Lynch fell in love with jewelry as a child, enamored by the costume jewelry of her grandmother. 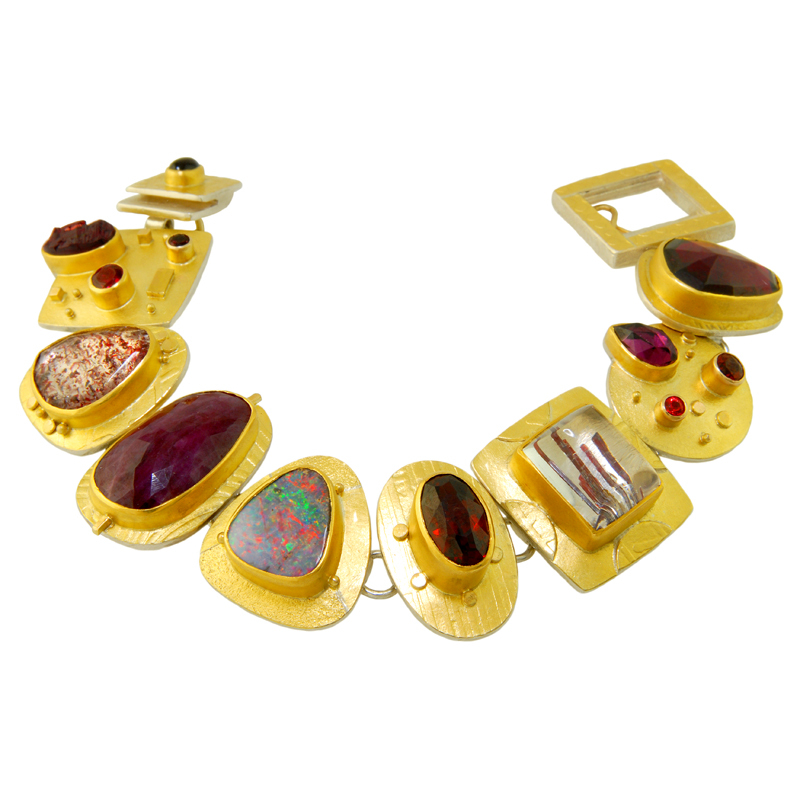 Since then she has been collecting and arranging objects of value into artistic patterns and designs that inspire her jewelry. 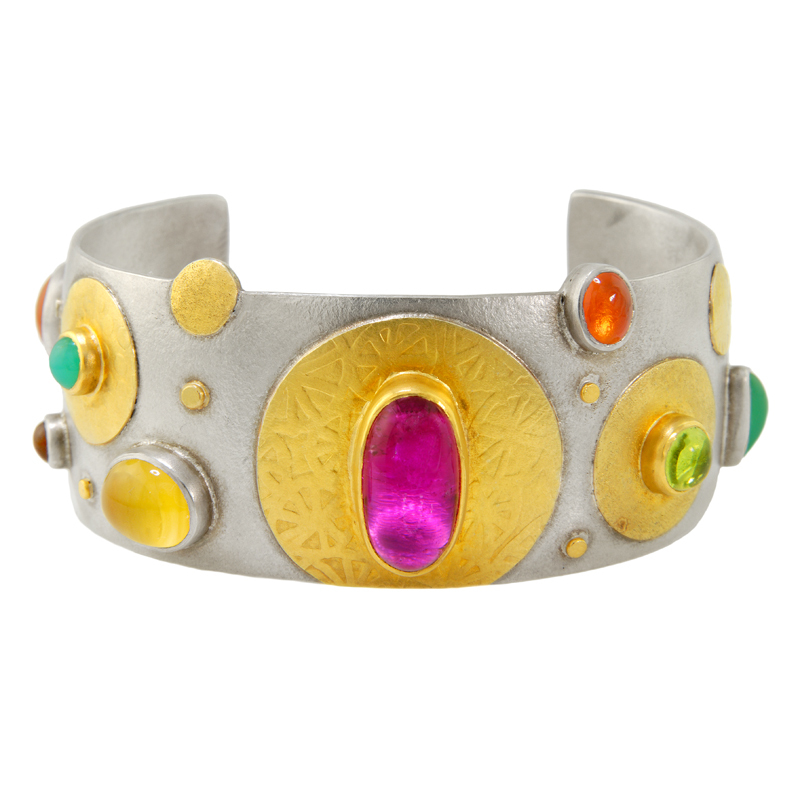 In college, Sydney Lynch worked on the Navajo Reservation where she fell in love with the Western landscape and met some silversmiths that inspired her to pursue jewelry design. 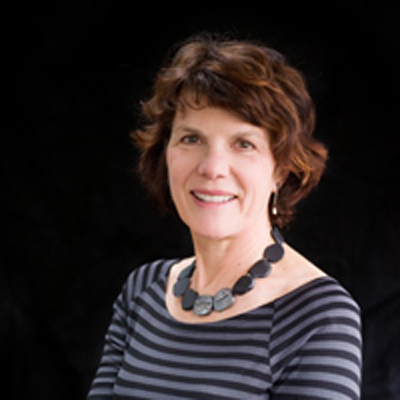 She moved from Connecticut to receive a BFA at the University of Colorado. 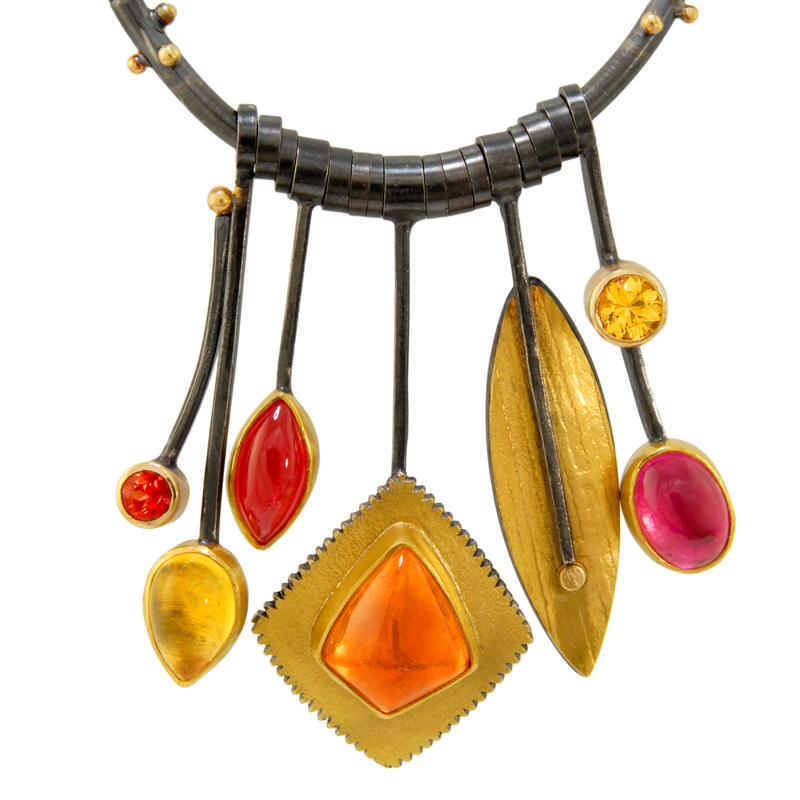 Sydney Lynch eventually established her jewelry studio in Nebraska where she now works with three bench assistants. Her husband, Craig Roper, manages her business. 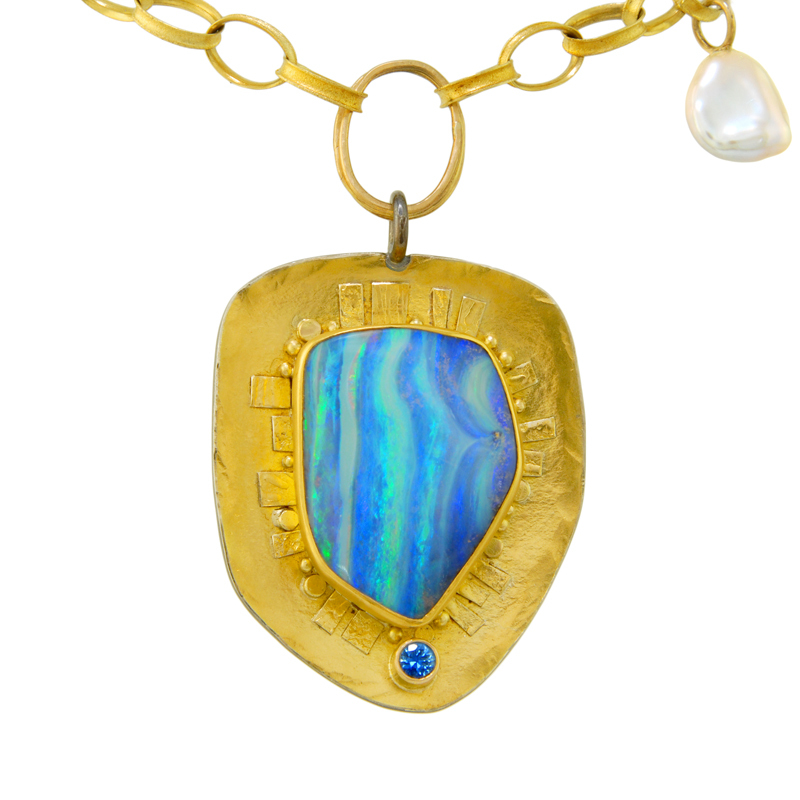 To view more beautiful Sydney Lynch Jewelry, please visit our online Sydney Lynch Jewelry Gallery.